Are you shopping around for a great value, amazing location and a unique floorplan in the Pittsburgh Metro area? Well, Federal Hill is the perfect community for you. At S&A Homes, we take pride in our quality homes and affordable prices, and it is reflected in our industry recognitions. Recently, we received the Best New Multi-Family Home of the Year under $250,000 Award for our new urban housing development, Federal Hill, at the Builders Association of Metropolitan Pittsburgh’s holiday event. 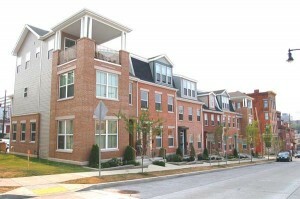 Federal Hill features homes that fit any family’s lifestyle and budget. The charming townhome community includes four unique floorplans that start in the $140,000s and range from 1,500 square feet to 2,300 square feet. With three or four bedroom plans to choose from, you’ll find that there is plenty of room for a family of any size. S&A Homes’ Operation Organize Simplify contest has come to a close and the results are in. Congratulations to contest winner Chelsea Bester, who will receive a $150 Home Depot gift card and $500 (on top of the normal Realtor commission) with the next home she sells in one of our communities. Contest participants answered this question, If you could build your dream home, what is the one organizational item that you would incorporate into every home? Bester’s idea for Operation Organize Simplify is to put a classic mudroom in every home. Her ideal mudroom would have at least one window and plenty of light. It would have a nice, cozy bench with storage space underneath for storing boots. There would also be a counter space for groceries, a center for taking care of the family pets and various storage options for clothing. For important news, a message board would be available for family members as soon as they entered the house. And finally there would be a tiled floor for easy cleaning because, well, who likes cleaning? 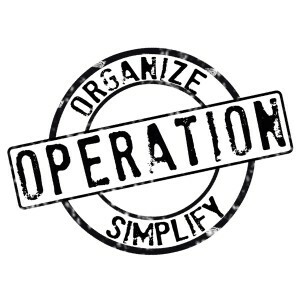 Operation Organize Simplify is ready to tackle the space that rarely sees middle ground. It’s either a clean, carefully organized room with every spare tool and nail in its place or it’s, in a word, not. And when the garage is a mess, other messes seem to get bigger. Need to fix the something fast? If only you could find the right screwdriver, that might be possible. Ready to hang the holiday lights? 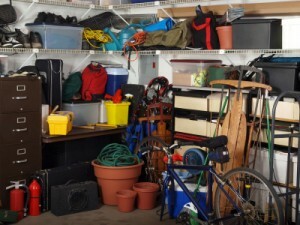 First you have to pull out half of boxes in the garage to reach the lights, the ladder, the hammer and the hooks. Anticipating that Santa may bring a bike, a scooter and a four-wheeler that will need a permanent home? It looks like you’ll need to find a spot in the bedroom. Buying a Dream Home Doesn’t Have to Be a Headache! Has your home search seemed like a hassle? Well, your home search just got much simpler with the S&A Homes Hassle Free Financing Event this Sunday, December 11 from 1 – 4 p.m. Make your search for a State College new home a breeze by choosing S&A Homes and Integrity Home Funding! Take advantage of free on-site pre-approvals and learn how home ownership can be yours from only $612 a month, less than the cost of renting! 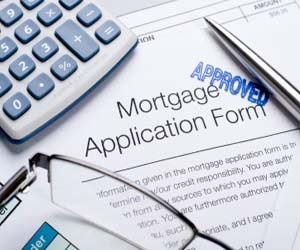 Additionally, loan programs are available with no money down. Come out to the State College S&A Information Center between 1 and 4 p.m. Take advantage of personalized new home tours and meet Elizabeth Dudek, Integrity Home Funding’s brand new sales manager who will help you buy the home of your dreams. The first 20 attendees to this extraordinary event will receive complimentary tickets to State College’s Annual 1st Night Event. The S&A Information Center is located at 800 Science Park Road, State College, PA. For more information, call 814-231-8560. 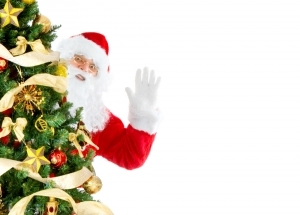 Santa Claus is Coming to…S&A Homes! Ho Ho Ho – it’s Christmas! Well, almost at least, and what better way to get the kids in the mood than a visit to Santa? Ok….we know what you are thinking – sitting in Disney World style lines for Santa at the mall and fighting for parking spots is not really the best way to get Mom and Dad in the holiday spirit. Plus, who wants to pay $40 for a grainy photograph of your child and Santa Claus? That’s exactly why S&A is bringing Santa to you! This weekend, Santa himself will be making a special visit (his 4th annual, actually) to our Worthington Village Model Home in Bridgeport, West Virginia! On December 10th, from 5pm – 8pm and December 11th from 1pm – 4pm, Santa Claus will be available to children of all ages! 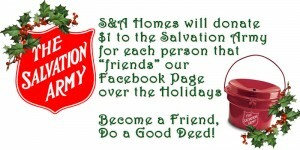 You can donate to the Salvation Army just by visiting the S&A Homes Facebook page. Isn’t that easier than braving the cold temperatures, dodging through crowds of shoppers and digging in your pocket for coins to drop in a red kettle? Visit our page and “like” it, and we’ll donate $1 to the charity. While you are visiting our Facebook page, please consider making an additional donation directly to the cause on the Salvation Army tab. We at S&A Homes thank you for helping us help others and for allowing us to serve you. Whether you are a homeowner, a home buyer, a friend or a passer-by to our blog, please visit often. You’re always welcome here! The dresser in the Owner’s Suite…the floor of your teenager’s bedroom…the bathroom counter…next to the coffee pot where you’re sure to see it in the morning. 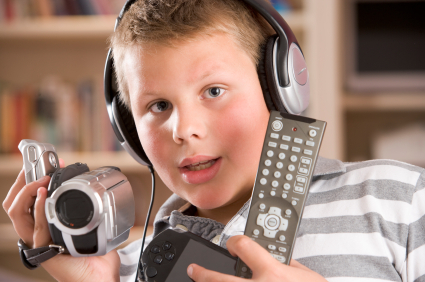 In many homes, cell phones, laptops, iPads, handheld games and other electronic devices are plugged in here and there around the house, charging up for their next use. Usually, home buyers will put their charging station in the kitchen. Anyplace that is convenient will do, but family members are more likely to remember to charge their items and grab them on their way out the next morning when they choose a high-traffic, high-visibility spot. “Is this model for sale?” In my new homes sales career, this was probably the question I received more than any other. After all, S&A Homes’ model homes are packed to the gills with custom touches such as high-end window treatments, upgraded hardwood flooring, gourmet kitchen layouts and stainless steel appliances.